This is a beauty! 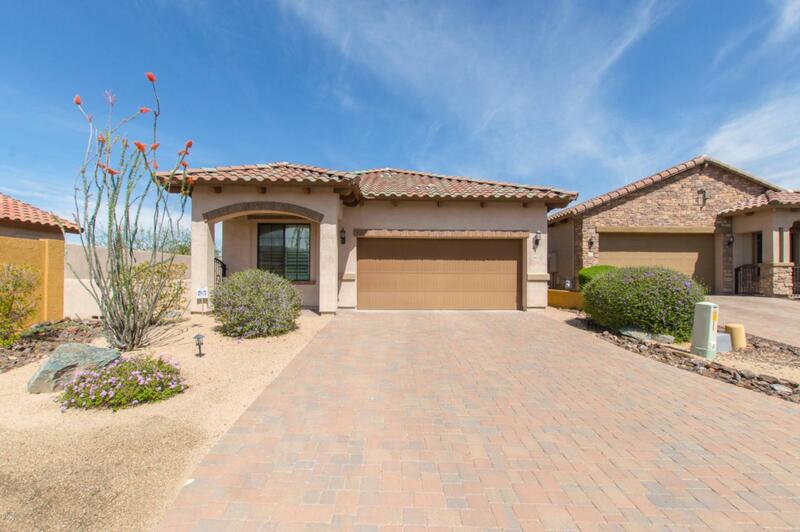 Step inside to a light and bright, open floor plan, gorgeous cabinetry, neutral tile flooring, and custom classy shutters on every window. 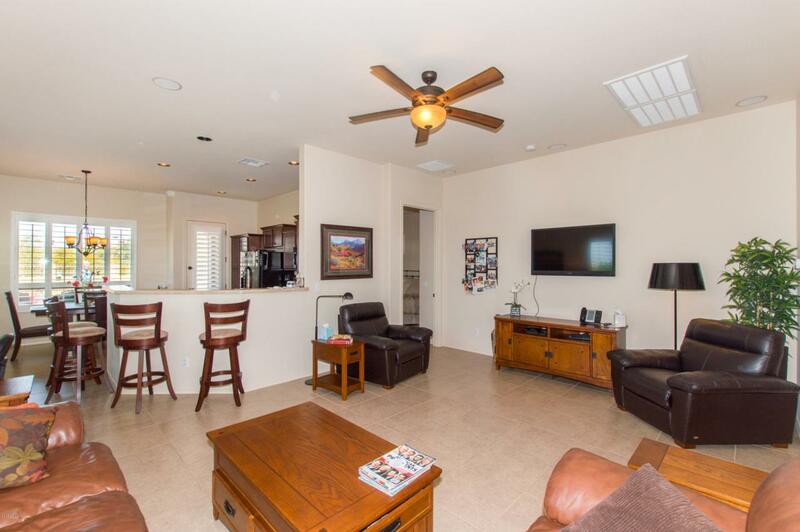 The master features dual sink vanity, private toilet room and a walk-in closet. 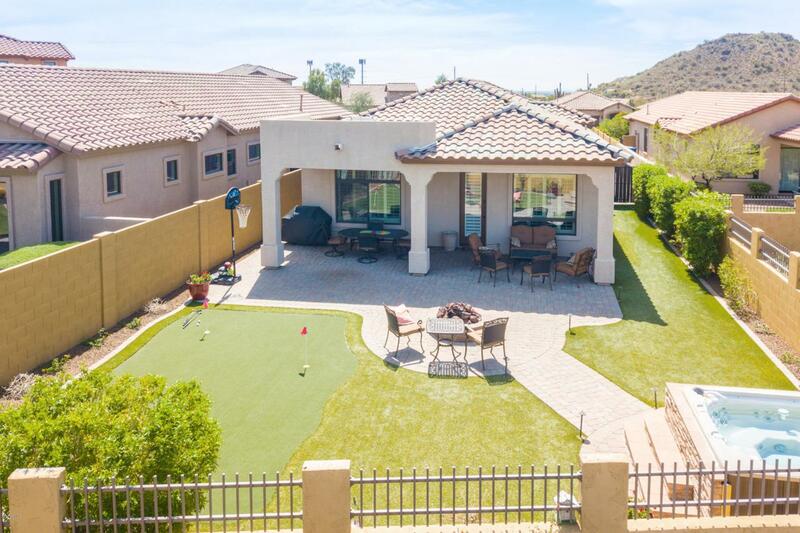 You will love entertaining in your new easy-maintenance back yard that features a putting green, spa, covered paver patio wired for stereo sound, gas firepit, and has views of the open Arizona skies! 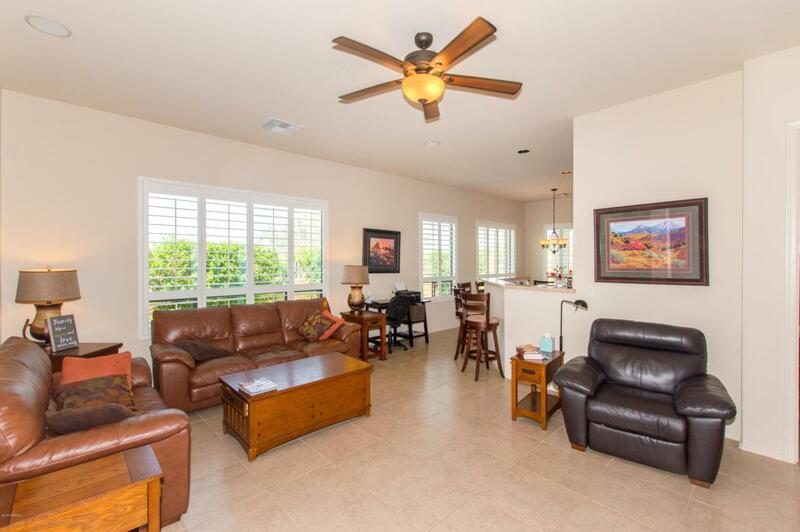 Located in Mountain Bridge, a highly desired resort-style community, offers hiking trails, parks, playground, pools, spa, fitness center, tennis courts, and is in close proximity to plenty of shopping and dining. Furniture is available on a separate bill of sale.